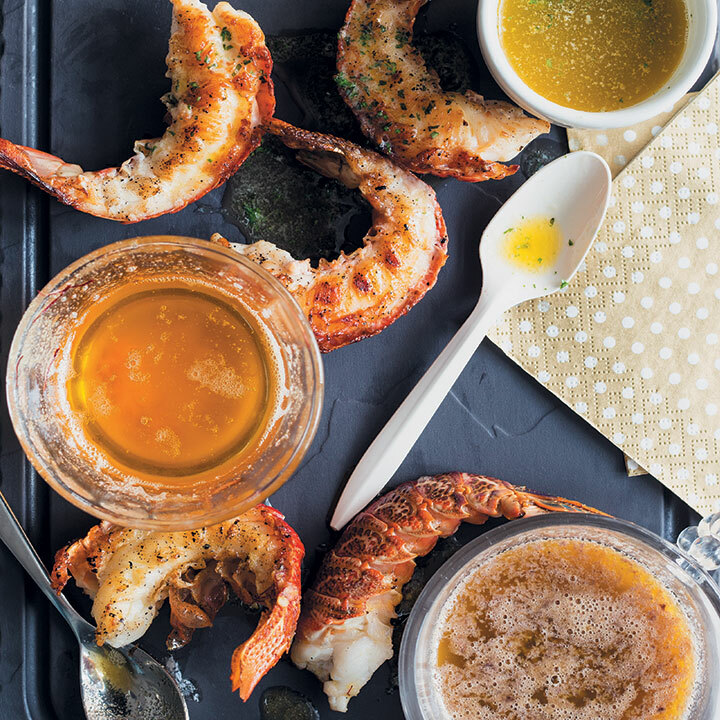 Crayfish on the braai with flavour-spiked butters is a great way to step up your braai game. Crayfish meat grills beautifully, and its natural richness just gets better when drenched in butter. A delicious summer dish. Heat the braai or a griddle pan to a medium heat. Halve the whole crayfish or crayfish tails lengthways and remove the veins. Rinse under cold water and pat dry. Brush each crayfish or tail with a little melted butter. Divide the remaining butter into 3 separate ramekins. Add the anchovies and olives to 1 ramekin, the herbs and garlic to another, and the saffron and chilli to the remaining ramekin. Mix and allow the butters to stand for a short while for the flavours to infuse (keep in a warm spot so they don’t solidify). Grill the whole crayfish or tails on the braai or in the griddle pan, 5 – 6 minutes. Serve immediately and drizzle with the butters.